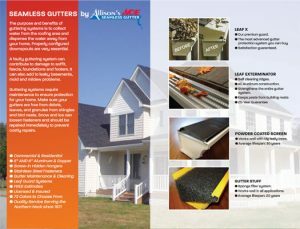 We appreciate your interest in using Allison's Seamless Gutters for your next home improvement project. Contact us today at 804.529.7578 so that we may get you on the schedule for a free estimate. We have 15 years of experience, serve commercial and residential buildings, and are fully licensed and insured. What exactly is Gutters 101? It's everything you need to know about gutters from from the ground up, or in this case, the roof down. Gutters are a main line of defense against nature's elements, protecting your home all year long, year after year. Please take a moment to view the following videos made by Joey Allison to demonstrate the devastation from lack of proper guttering, and the solutions that Allison's Seamless Gutters has to offer. 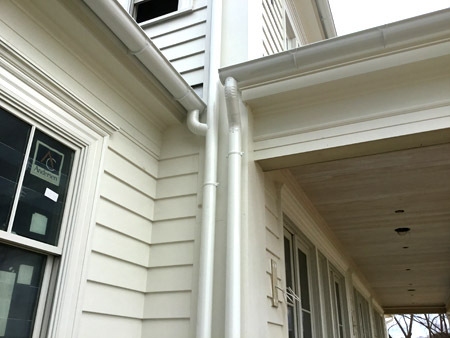 With proper gutter systems installed, you can prevent costly damage to your foundation, eaves, and inside of your home. This video explains problems you may be having with rain water management and demonstrates the installation process by Allison's Seamless gutter crew. Let Allison’s experienced professionals install or replace your gutters with 5” or 6” aluminum or copper gutters. We use screw-in hidden hangers and stainless steel fasteners, to enhance your home’s appearance. Cleaning gutters yourself means climbing a ladder or getting on the roof, increasing the likelihood of a fall or other accident. Allison’s Gutter service offers gutter cleaning; please contact our office team to learn more. Allison's Seamless Gutters also offers multiple gutter guard options. In our area, pine needles pose a huge problem for homeowners, requiring constant cleaning to keep unobstructed water flow through gutters. A quality gutter guard system keeps those pesky pine needles out! This final video in the series explains four different options available to you through Allison's. 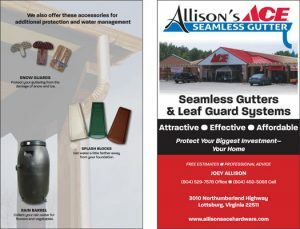 Allison's carries a full line of gutter guard products to fit any need and any budget. In the Northern Neck, pine trees drop needles and debris all year long. Unless you have a way to keep it all out, it means year-round maintenance or clogged and overflowing gutters. 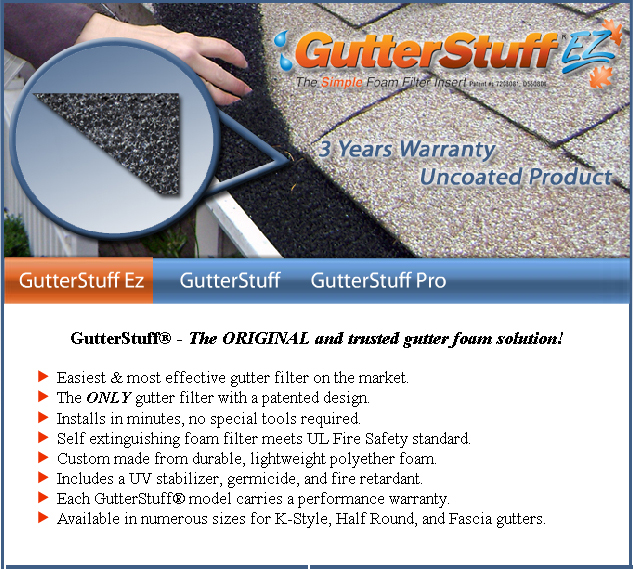 Gutter Stuff is a revolutionary foam gutter protection system. Unlike traditional gutter guards that provide a cover over the gutter, Gutter Stuff actually fills the gutter with absorbing foam. It was recently featured on MSNBC. It is a foam product which essentially blocks debris, leaves, dirt and other items (pine needles, in our case) from gutters. It has already generated a lot of interest, with homeowners hoping that it will reduce home maintenance chores, particularly the unpleasant – and even risky – task of cleaning out gutters. The Snap-Screen system's simple design lets the water in but keeps leaves and other debris out. This aluminum mesh screen system will look and perform like new for years without being seen from the ground. Snap-Screen is installed with no screws, having a spring like tension in the gutter system to keep it securely in place. 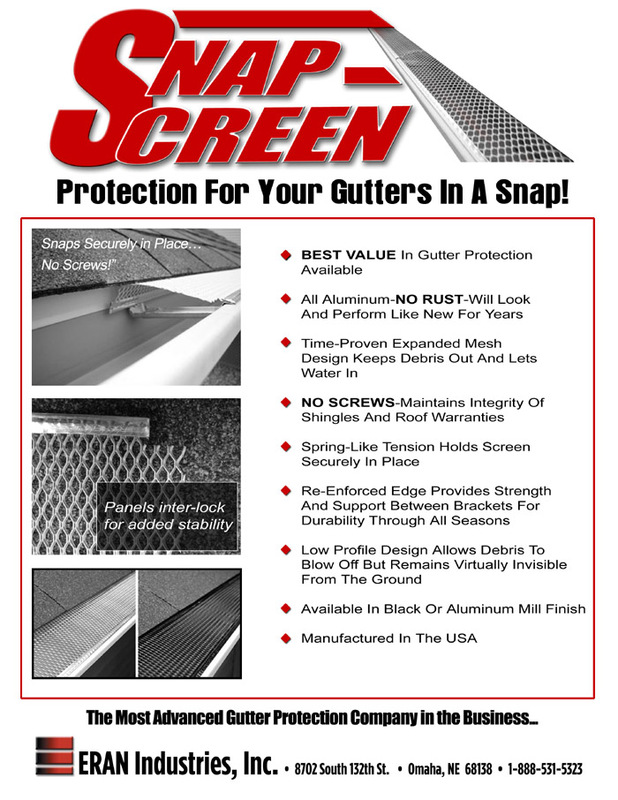 Manufactured in the USA with a black or aluminum finish, the Snap-Screen gutter protection system from ERAN Industries provides years of trouble-free service. Leaf Exterminator is one of the high-quality gutter protection systems sold and installed by Allison's Ace Hardware. Installed in 6 foot sections, you can count on it’s durability for years of lasting protection. 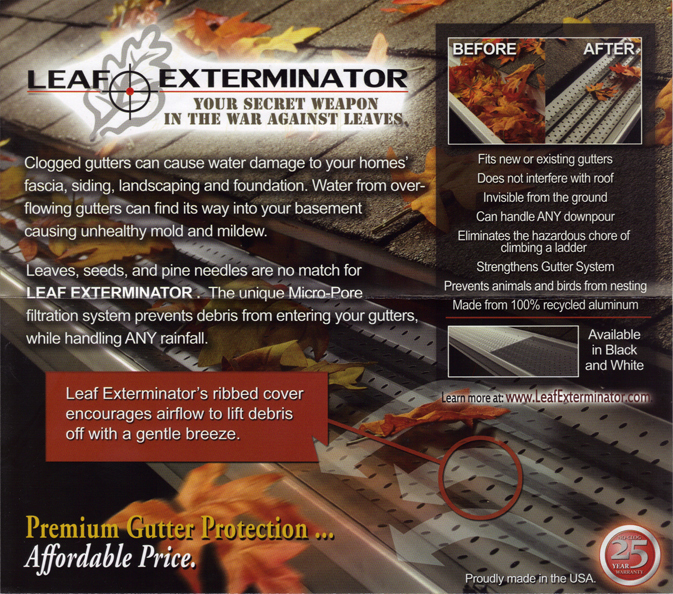 Made of recycled aluminum, Leaf Exterminator fits new or existing gutters while being invisible from the ground. It strengthens your gutter systems by handling any downpour, and is a closed system that prevents animals from nesting. Their unique Micro-Pore filtration systems prevents leaves from entering your gutters, and the ribbed cover encourages airflow to lift debris out of the way with a breeze. The LeafX® Gutter Protection System will get you off the ladder, giving you the freedom to do more of what you enjoy. Our unique system is only installed by contractors that have been authorized by the manufacturer. When properly maintained, your gutters will not clog and will be protected from snow & ice, leaves, pine needles, and other debris. This low profile aluminum system will handle any rainfall on record, allowing water to flow freely around the curve of the hood directly into the gutter. Leaf X’s Flex Drain design allows additional water to collect from the vertical perforations and bends to custom fit your roof pitch. Installed in 4 foot panels directly into your existing or new K-Style and Half round gutters, it can be easily removed in sections in the event of damage. 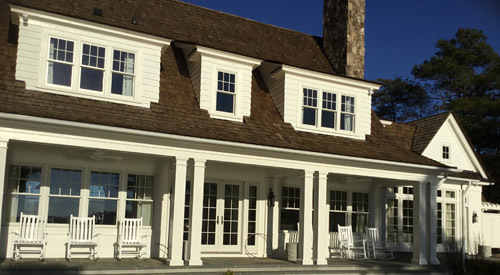 Awning, gutter, umbrella, or drop shade project? Contact Joey for a free estimate.